Foreign direct investment to China fell by about 6% in the first seven months of 2017 in relation to the same period last year, which has raised concerns about China’s appeal as an investment destination and the state of the economy. Furthermore, with China’s economy entering a state of “new normal”, and with China’s traditional low-cost advantage disappearing, China’s central government is seeking ways to further promote and better utilize foreign direct investment in China. In the last few months, the government has made some policy changes to achieve this goal. A State Council executive meeting chaired by Chinese Premier Li Keqiang decided, on 20 September 2017, to extend the Cross-Border E-Commerce (CBEC) Pilot Programme. As a result, the ’grace period’ before the implementation of tougher new rules that will increase taxes and regulations on products sold via cross-border channels, has also been extended by one year until 31 December 2018. It was scheduled to expire on 31 December 2017. The China Food and Drug Administration (CFDA) announced, on 31 August 2017 the final revision to the 2002 Medical Device Classification Catalogue. The new catalogue, which significantly updates device classifications and will have considerable impact on device registration, manufacturing and distribution, will become effective on 1 August 2018. All medical devices marketed or sold for use in China must be registered with the CFDA. While there are many similarities with registration requirements in the US and EU, the classification of medical devices in China includes some important deviations from classification schemes in other countries. 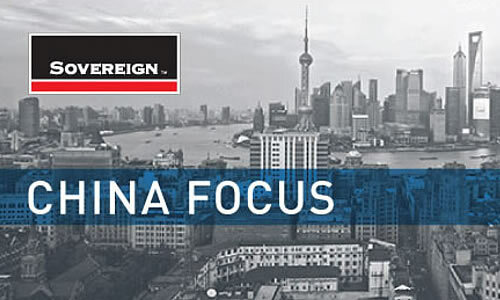 Each year Sovereign China publishes a Market Entry Handbook to provide clients with a basic understanding of the China entry process. The handbook includes: China Overview, Establishing a Legal Entity in China, Taxation of Foreign Invested Enterprises in China, Employing Personnel in China, Individual Income Tax (IIT) in China and Protecting Intellectual Property (IP) in China.